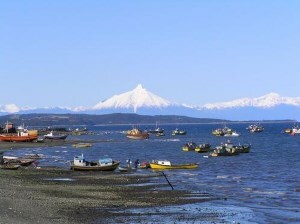 Pannell Discussions » 309 – Why do fishers in Chile put up with poachers? » Ideas in economics, environment, policy and more. Posted on 30 October, 2017 by David Pannell. This entry was posted in Behaviour, Economics, Marine, Natural resource management, Policy. I really enjoyed reading this. Very frustrating and not surprising – governments seem to hate to enforce their own rules in so many countries including ours!